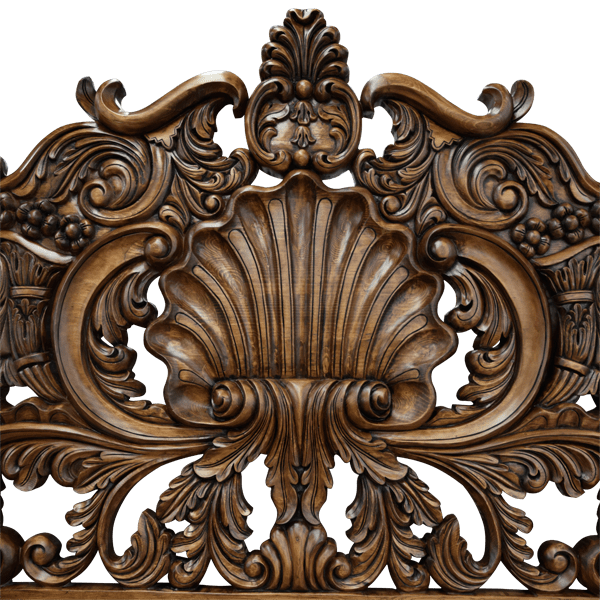 The hand carving on the crest of this handcrafted, Baroque style headboard is superb, and it is a wonderful example of our dedication to excellence. 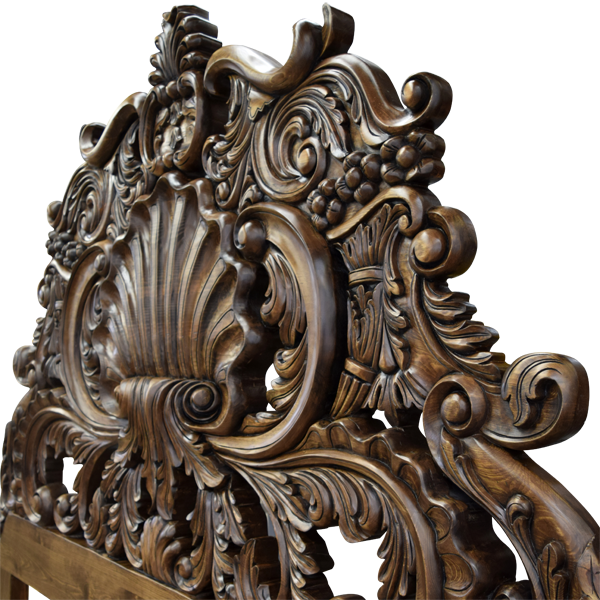 All of the detailed work on the crest was performed by hand in our factory, and no large machines were used. The headboard features a large, centered, hand carved shell, surrounded by exquisite, hand carved, floral and scroll designs. 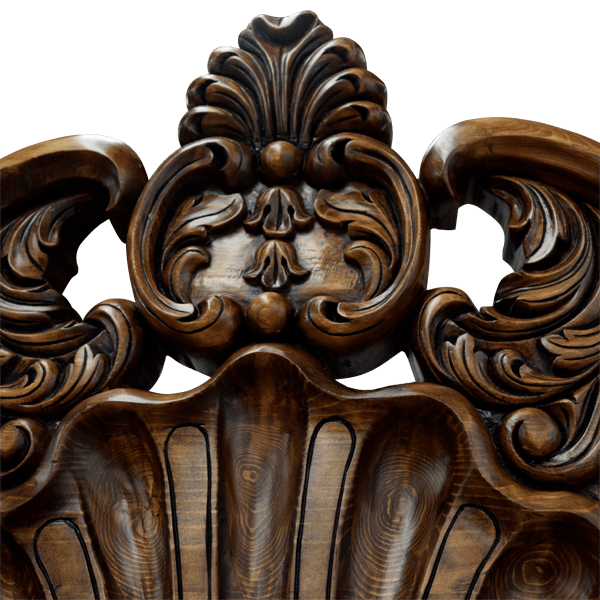 The crest is contrasted by the simple, solid wood frame of the supporting headboard. 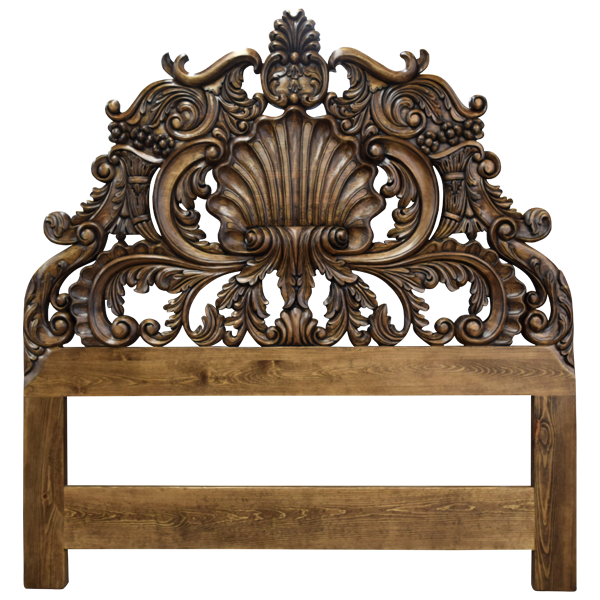 The crest has a gold, antique finish, and the frame of the headboard has a classic finish. The headboard is made with the best, sustainable, solid wood available, and it is 100% customizable.